The IKEA Foto Pendant Lamp is an aluminum bodied pendant light that focuses direct light onto countertops and tables. Designed with an industrial aesthetic by Nicolas Cortolezzis, the IKEA Foto Pendant Lamp has an overall width of 15” | 38 cm and a shade height of 10.25” | 26 cm. The IKEA Foto Pendant Lamp has a cord length of 15’5” | 4.7 m.
What is the IKEA Foto Pendant Lamp? The IKEA Foto Pendant Lamp is an aluminum bodied pendant light designed by Nicolas Cortolezzis for IKEA. 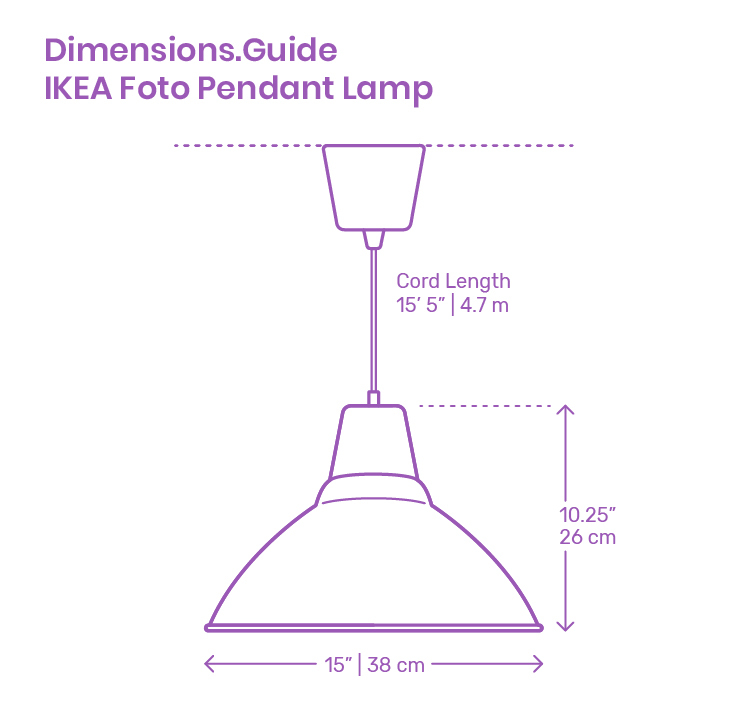 How big is an IKEA Foto Pendant Lamp? The IKEA Foto Pendant Lamp has an overall diameter of 15” | 38 cm and a shade height of 10.25” | 26 cm. How high should the IKEA Foto Pendant Lamp be hung? Though it varies by situation and lighting needs, the bottom of the IKEA Foto Pendant Lamp should be hung 28”-36” | 71-91 cm above a countertop surface or 30”-36” | 76-91 cm above a dining table.